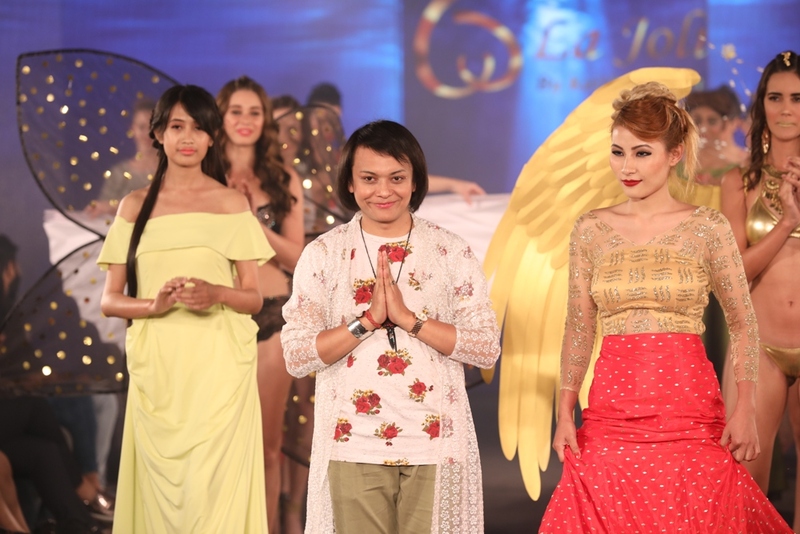 The most awaited and India first fashion extravaganza of the year, IIFW turned out to be a grand affair with the super models turning up the heat and setting the ramp on fire. Showcasing the prêt collections of India’s leading Lingerie and Resort wear designers like Nidhi Munnim, Karishma Jumani, Keith Jackson, Rajiv Mehta and jewellery designer Mona Shroff etc. the alluring event concluded on a mesmerising high. The stunning Ishit Yamini looks elegant in red lingerie. “It was great opportunity that knocked our door and opened our windows to some great success and an amazing platform to be on, I enjoyed my association with IIFW and looking forward to many more shows in the future.”, said Karishma Jumani. The first edition of India Intimate Fashion Week was managed by Mumbai based event Management Company ‘Connecting Dots Events And Marketing Solutions’. IIFW also witnessed in-depth analysis of Indian Intimate apparel industry from experts from Fibre2Fashion, who is the official Knowledge and Trade partner for IIFW. Leading Women oriented magazine of India, ‘Womens Era’ is the official magazine partner of IIFW. Glamour is the key quotient of any Fashion show. While the best models in the business will be setting the ramp on fire at IIFW, they will be styled by IIFW’s official style partner ‘Makeup Revolution London’ and promoted by leading Fashion and Lifestyle network ‘ROPOSO’ as official Social Media Network Partner and A&B Digital Marketing as an official Digital partner. FirebirdVR.com is the technology innovation partner in Fashion and Retail Leading online e-commerce for IIFW. ‘Ekatrra’ is the official online fashion partner of IIFW. Talented Hair Expert Tejaswini Shetty did the fabulous hairdos for the models walking the IIFW ramp. World’s First Interactive Video Shopping Platform- Toch is the Official Shoppable Runway Partner for IIFW. Touch helps people video shop directly while watching latest fashion video, fashion, runway, movie trailers, and your favorite music, video, that’s not all, you can discover the location you always craved for while watching the video and book your holiday.